If you are like most individuals you probably consider your bed a necessity rather than a luxury. Well, that very same concept should be applied to your dog’s bed as well. Sure, your four-legged friend can sleep on the floor or on the couch, but how would you feel about sleeping in these locations? Would you be able to get a good night’s rest? Investing in the best orthopedic dog bed will not only give your dog a sense of security, but it can provide them with a variety of health benefits as well. And, this is not to even mention the fact that it is going to help keep the home all around cleaner. Of course, choosing an orthopedic pet bed isn’t just as easy as going down to the pet store and picking out the first one that you come across. There are a variety of factors and considerations that need to be made. 1.1 What Is An Orthopedic Dog Bed? 1.2 When Should You Invest In An Orthopedic Pet Bed? 1.3 What To Look For When Choosing An Orthopedic Dog Bed? Before you just run out and start blindly throwing your money into an orthopedic dog bed, you need to understand the concept of these products and what they can provide for your pet. 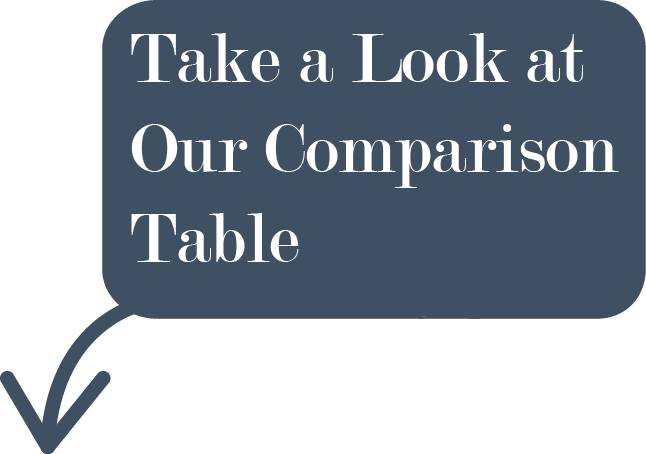 The real truth of the matter is that there is no standard height, softness, or bed filler material that needs to be met before a bed can be labeled as orthopedic. When most professional vets are referring to an orthopedic dog bed they are simply talking about a bed that is filled with memory foam or a similar material. The best memory foam dog bed will be designed and constructed in a manner that will relieve stress to pressure points when your dog lays down on it. The bed should also be designed in a manner that will keep your dog’s body off the hard floor. When Should You Invest In An Orthopedic Pet Bed? There are a variety of reasons and occasions when a pet owner should invest in an orthopedic pet bed. However, the real truth is if you are going to own a pet you should probably just go ahead and invest in a bed right from the start. Not only will these beds prevent future injuries and keep your dog well rested, but also they can give your dog a sense of security and belonging. 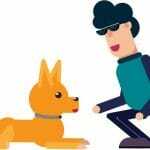 That being said, most individuals don’t make the initial investment until their dog ages, shows signs of arthritis, suffers from a joint disorder or is recovering from some kind of surgery or injury. 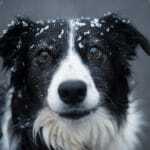 Just like humans when dogs age they become more and more prone to developing arthritis and other type of ailments. Arthritis is without a doubt one of the most well-known and common problems. This is why it is imperative to be able to identify the symptoms of arthritis. Just like joint supplements for dogs, top-rated orthopedic dog beds can help ease the pain and suffering that is caused by this condition. The first thing that you need to know is that there are really five different types of arthritis. 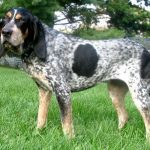 However, there are two forms that are most commonly found in dogs that are older. This would be the degenerative joint disease and the inflammatory joint disease. Degenerative joint disease is often referred to as osteoarthritis and it occurs when there is friction between the bones. 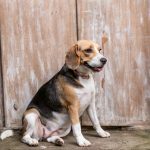 Basically, your dog will experience bone on bone contact when it walks or jumps and this usually occurs because the cartilage or cushioning between the bones has eroded away. Whether your dog is displaying some of the above symptoms or not, investing is a dog bed for arthritis can provide your pet with many benefits. What To Look For When Choosing An Orthopedic Dog Bed? If you have been reading orthopedic dog bed reviews or been searching online for beds, you have probably quickly discovered that there are a variety of beds available. Each one is probably filled with a different material, made by a different manufacturer, and comes with a different price tag. Which ones are the best? Well, the truth of the matter is that there are many good beds out there. However, there are a few key qualities that you need to consider in a bed before you really think about making an investment. Your pet will spend a great deal of time in this bed and support is without a doubt one of the most important features of an orthopedic dog bed. You want a bed that is going to be constructed with thick layers or durable material otherwise the bed is going to flatten over time. If your dog is big and heavy you are going to want to look for something that is extremely durable. 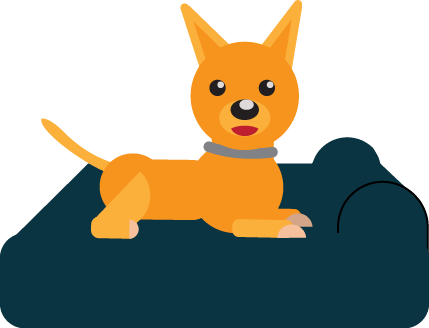 If the bed flattens, it really won’t provide the support that your dog needs and it will be no better for him than sleeping on the floor. You will find throughout your search that these beds are filled with a variety of materials. However, it really is the memory foam beds that are going to excel. 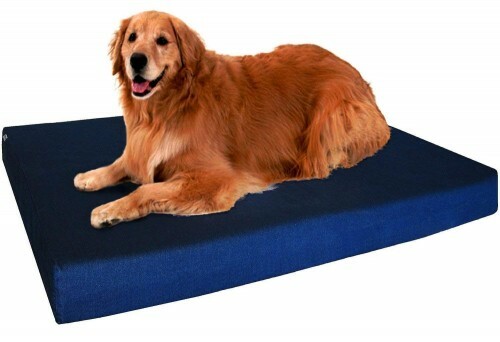 Memory foam is extremely durable and can provide your dog with a variety of benefits. Memory foam is really unique because it actually contours to the shape of your dog’s body and provides support to the pressure points where it is needed the most. Memory foam also has the ability to improve the blood circulation and keep the joints healthy. 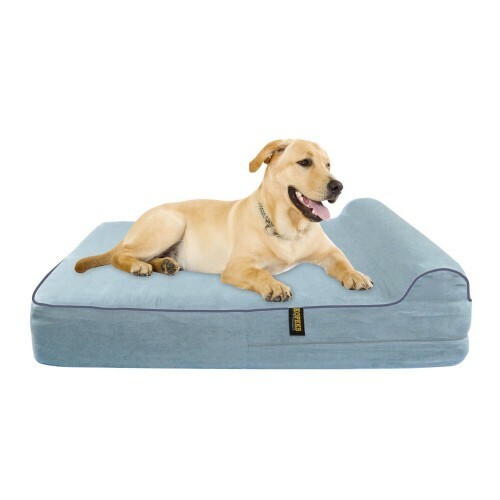 Memory foam can even help your dog get a better night’s rest because it is extremely breathable. This basically means that it will adapt to climate changes. During the warm months it can help keep your dog cool and during the cool months it can help keep your dog warm. When you are going to invest your hard earned money in a product you want reassurances that it is going to stand up to the test of time. This might not be as easy as it sounds when your dog is a heavy chewer. And, this is not to even mention the regular wear and tear that the bed is going to see. You want to look for a bed with high-quality materials and solid manufacturing. Make sure that the bed is double sewed and reinforced in the seams otherwise the bed is probably going to fall apart after just a few months of use. Cleaning up after your pet is never fun, but it is something that has to be done. Fortunately, a good orthopedic dog bed can help ease some of this hassle. Instead of your dog sleeping here and there he will be localized to one place. This will help with cleaning shedding hair. However, if you don’t get a bed that is easy to clean this might make the process that much harder. Dirty beds don’t just look bad, but they can smell and attract dust mites. Make sure that the bed is machine washable and dissembles fairly easy. You don’t want to spend thirty minutes trying to dissemble the bed and another twenty minutes trying to vacuum it out. Another excellent feature to look for is a waterproof inner lining. Not all beds include this feature, but the best orthopedic dog beds should be equipped with this. This liner will protect the foam core from spills, accidents and odors that might develop over the years. Also, make sure that the cover is easy to remove, because you will need to remove it before cleaning the bed. Now, you truly know what to look for when you are shopping for an orthopedic dog bed for your four-legged friend. Of course, this still doesn’t make the process that much easier. This is why below you will find in-depth reviews of the top five beds on the market. These beds will include some or all of the essential features mentioned above. The Dog’s Balls is a plush and large orthopedic dog bed that is suitable for any dog of any age. With its large size of 43.5 x 34 x 4 this bed was particularly designed for dogs that like to stretch out. However, that doesn’t mean that every sized dog can’t take advantage of what it has to offer. And, it has quite a bit to offer. First off, it has a two-inch base that is constructed of extremely high quality and durable materials. This will not only keep the bed up off of the floor but it provides the stability that will give your dog extra support. You learned above that frequent urination was one of the many symptoms of arthritis in dogs. Dog urine is not only potent, but can be extremely hard to get out of certain materials. Fortunately, this is something that you will never have to worry about when you invest in The Dog’s Balls orthopedic dog bed. This bed comes with a removable, waterproof inner liner that will protect the foam material from anything liquid. In addition to this, the liner is resistant to mold, mildew, and dust mites. This makes it all around easier to clean. When you combine this with the fact that the liner can be machine washed, you are truly looking at one convenient little product. There are replacement covers available in the event that this one gets damaged or becomes too worn. Not all pets are fortunate enough to be able to sleep indoors. When you invest in The Dog’s Balls orthopedic pet bed it won’t matter if you have an inside or outside dog. This bed is durable and reliable enough to be utilized in either location. If this bed is capable of standing up to the outside weather that should tell you something about its construction and durability. This bed is definitely great. It’ll provide your dog with relief and it can be used pretty much anywhere and everywhere. The PetFusion orthopedic pet bed is a state of the art bed that comes with cloud 9-memory foam. This is a special type of foam that was specifically designed to provide relief of the pressure points where it is most needed. Not only is the material extremely durable and reliable, but also it will contour to your pet’s body, providing him or her with an all around better night’s sleep. You will see that this is a bolster style bed, which means that it has an armrest like a couch. This bolster is generously filled with memory foam as well to provide extra support for your pet. It also provides perfect nestling opportunities for those pets that like to nestle. The amply filled bolster will provide the neck and back support that your dog needs. When you look at everything that the PetFusion orthopedic pet bed has to offer it is easy to see why this bed made the list. The Big Barker pet bed really earned its name, as it was specifically designed for large to giant dogs. With dimensions of 60 x 48 x 7 this bed really shouldn’t have a problem housing some of the biggest breeds of dogs. The bed is available in a variety of colors, so you won’t have a problem finding one that will match the interior of your home, but that is just the start of what this amazing product has to offer. This American made bed is stuffed with specially designed therapeutic foam that will not flatten over time. In fact, the company boasts that their foam is produced with the best quality materials that you will find on the market. Regardless, of your dog’s size you will never have to worry about the bed flattening out. With a ten-year warranty guaranteeing that the bed won’t flatten, you are truly looking at one competent manufacturer that is willing to back their product. The KOPEKS thick memory foam dog bed is equipped with a variety of features that really makes it stand out amongst the crowd. First, you have to consider the fact that the bed comes equipped with double layer protection. The bed has a waterproof fabric zippered cover, which protects the mattress and an exterior cover that protects the outside material of the bed. If this doesn’t guarantee easy cleaning and durability then nothing does. As you learned, this bed is stuffed with memory foam. However, you did not know that the memory foam is 100 percent orthopedic grade. What does this mean? This means that it is hypoallergenic and capable of providing much needed comfort to those aching joints and muscles. The KOPEKS is without a doubt a durable and unique orthopedic pet bed that can improve your pet’s quality of life. It will support where support is needed. 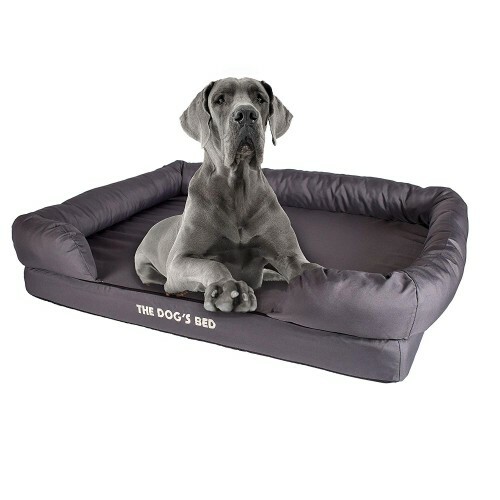 The Dogbed4less is a unique and durable orthopedic pet bed that is capable of providing the support where it is most needed. What really makes this bed stand out is the gel memory foam. The gel memory foam provides more support and comfort than the traditional memory foam. When you combine this with the durable washable covers, you are truly looking at one bed that will hold up in a variety of situations. This flat bed was designed and constructed with only the highest quality materials. The bed is not only durable, but it was constructed with such craftsmanship that will guarantee its durability for many years to come. Whether your dog is suffering from arthritis or recovering from an injury, you really cannot go wrong with the Dogbed4less pet bed. It will not only provide your pet with the therapeutic benefits the he or she needs, but it will hold up for the foreseeable future.